You want your bathroom to make a statement. It should be neutral enough to avoid overwhelming visitors to your home, relaxing enough to kick back and enjoy it when you want to take a long hot shower, and filled with things that you consider beautiful. Looking to create your own bathroom makeover? If you want to turn your bathroom into a calm, relaxing oasis in the middle of your busy, hectic schedule, try these seven suggestions. When you’re thinking about paint colors, gray might not always be one of the first ones to come to mind. Gray paint, however, creates a neutral backdrop that will allow the rest of your color scheme to pop. Gray isn’t just one of the freshest colors of the season; it’s also a neutral backdrop that will allow the rest of your decorations to shine. Against that gray background, your orange accent tiles will really shine. This bright, happy color will make you smile every time you walk into your bathroom. 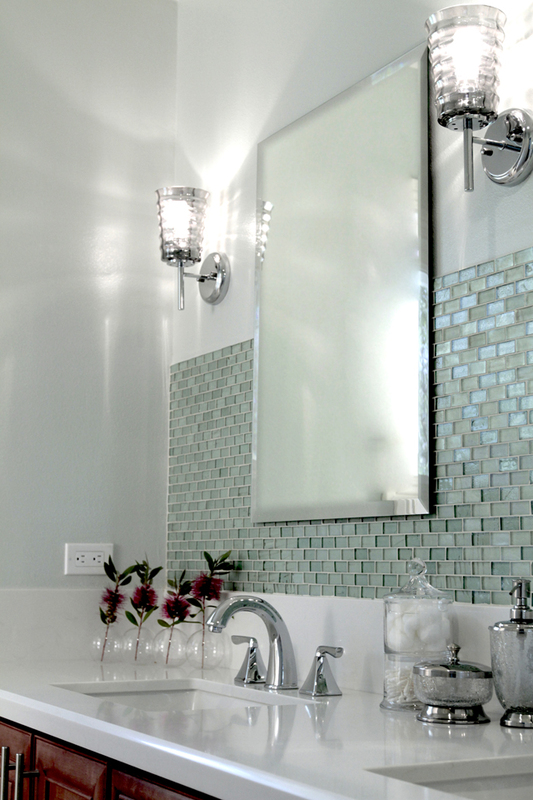 Use the tiles to surround a mirror, create a backsplash behind your sink, or even as a border behind your shower. The selection of tiles that some stores offer are nearly endless, and a “visit to the candy store” for the creative. 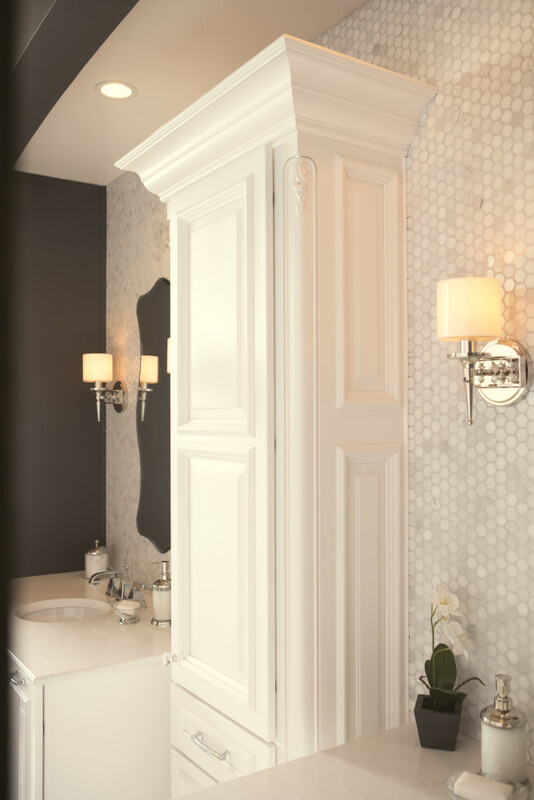 If you really want to bring your unique style and taste to your bathroom, try a mosaic accent wall. Glass tiles, with their bright colors, are particularly popular for this task. Your mosaic accent wall is your place to add color and whimsy to your bathroom decor. When was the last time you actually took a bath, anyway? 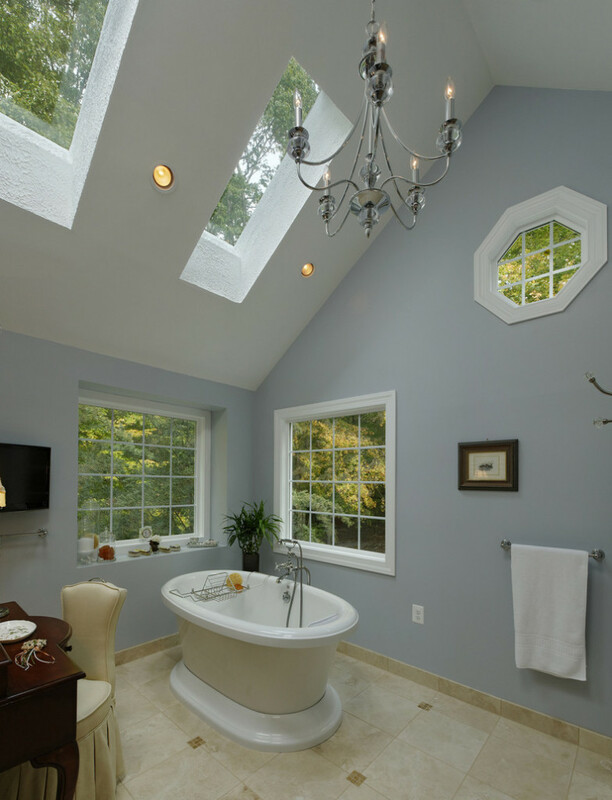 If you always opt for a shower instead, consider using that space more productively. Instead of being cramped in your bathtub, turn the space into a roomy shower that will give you plenty of elbow room and plenty of room to maneuver. You’ll be surprised by how much space you create just by getting rid of that unused bathtub. Cherry blossoms are a beautiful flower with a delicate perfume that will add a hint of femininity and class to any bathroom. You can try bringing in silk flowers or use cherry blossoms as a central part of your decorating motif. Storage is always at a premium in a bathroom no matter its size. Add a slim storage piece that will hold toilet paper, cleaning supplies, or other bathroom necessities to help capitalize on your existing space. Often, you’ll discover that a slim cabinet can be tucked alongside the toilet or sink without compromising your ability to move around your bathroom. For a truly unique touch that can’t be beat, try adding a fireplace to your bathroom. Not only will it let you turn up the heat on those cold winter mornings when simply stepping out of the shower is a major chore, adding a fireplace to your bathroom will increase the elegance and class of your bathroom in one smooth step. What is it that you’re looking for in your bathroom? Do you like the idea of a luxurious fireplace? A simple, grey-toned decor? What about a mosaic accent wall that will draw the eye and wow your guests? Choose the idea that most appeals to you, then design your bathroom around that concept for a space that you’ll love just as much as every other room in your house.